He developed his own sound that can best described as Pop-House Productions with future bass and trap influences also EDM. His distinctive sound got him bookings at major festivals in Holland (ADE), China and South Korea. 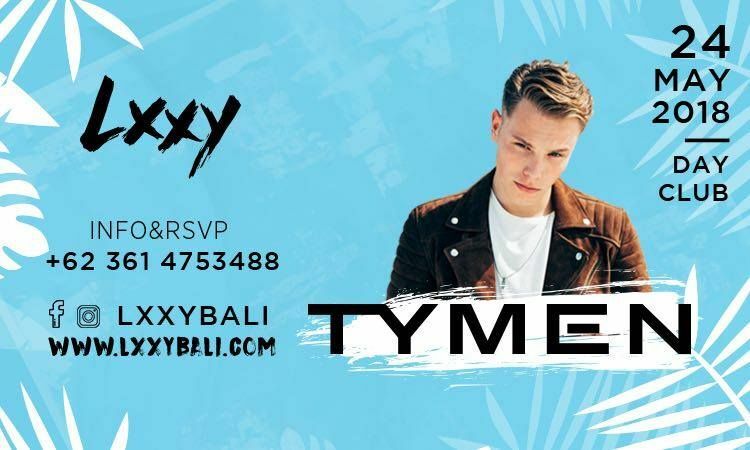 From Amsterdam they bring you DJ @tymen LIVE at LXXY bali Thursday 24th May.